The Raspberry Pi (RPi) was released 6 years ago, and today, we use it not only as an educational tool and for DYI projects but also in the enterprise market. 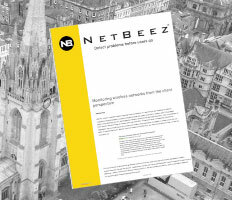 At NetBeez, we use it as a sensor to monitor the health and performance of WiFi and wired networks. The RPi connects to the network as a client and runs active monitoring tests to measure latency, DNS and HTTP response time, as well as bandwidth and VoIP quality. The RPi agents enable clear visibility of the end-user experience at remote sites – this is of key importance to detect and troubleshoot issues even before they affect end users. This is not a new idea, but the low cost, size, and availability of the RPi made this technology possible to scale to dozens, hundreds and thousands of monitoring agents without breaking the bank. Over the years, we have collected tremendous data and have gained experience on the RPi platform, and we were very excited when Interop accepted our proposal for a hands-on session detailing how to use hardware sensors to monitor WiFi and wired networks. The 50 attendees will receive an RPi Zero W with a preprogrammed SD card that they will use in the class and then take home to use it in real-life scenarios. 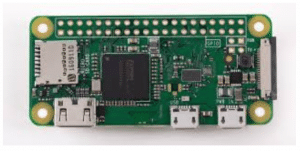 The RPi Zero W was released in February 2017; it was a major upgrade from its predecessor, the RPi Zero board since it now includes WiFi and Bluetooth connectivity for $10. If you add the cost of the SD card and the power supply, the total goes to around $25; it’s still amazing that you can have a full-fledged Linux host at that price. It’s not the most powerful one, nonetheless, it’s a great platform for prototyping and doing some basic testing. Of course, it comes with some limitations such as only 802.11n 2.4 GHz WiFi, and without on-board ethernet port. The recently introduced RPi 3B+ has dual-band 802.11ac WiFi, a Gigabit Ethernet port, and goes for $35. It wasn’t possible to use the RPi 3B+ for the purposes of this hands-on session, but all concepts taught are transferable to any other RPi or any Linux-based host. In the hands-on session, the attendees will use the RPi as a WiFi sensor to run monitoring tests from the command line interface (CLI), as well as the NetBeez GUI dashboard. Troubleshooting comes into play when you already know that there is an issue, and you need to get more insight and data to find the root cause of the problem or even prove that it’s not the network. For that purpose using the CLI can be sufficient in most cases. For example, you can run a ping test to check if the sensor’s network can access google.com if it can resolve cnn.com, or even how much upload and download bandwidth it can achieve. In addition to troubleshooting, the hardware sensor can be used for continuous monitoring of the network health and performance by running latency, DNS, HTTP, bandwidth and other tests periodically. With that data, you can build baselines and get alerted when the performance deviates from the accepted values. This is far more complicated to implement especially when you need to manage and record data from dozens or hundreds of sensors. This is when the NetBeez dashboard comes into play. 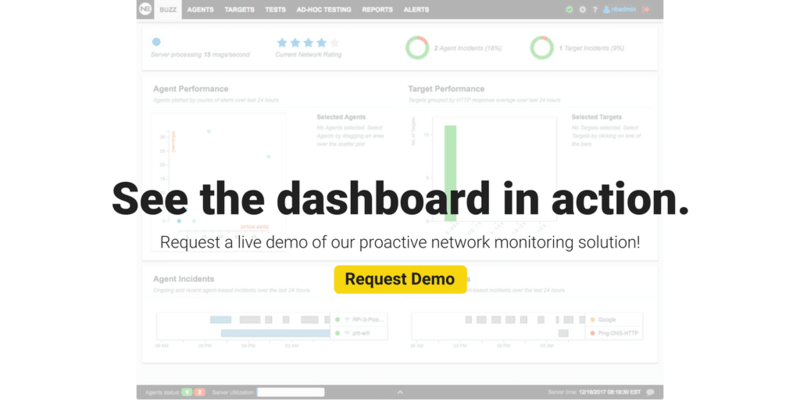 You can automate the monitoring and alerting across all sensors from a GUI that manages all the back-end data storage, alerting as well as statistics and reporting. We are looking forward to holding the hands-on session and spreading the word about sensor monitoring. The session can accommodate only 50 attendees, but if you are at Interop this year and didn’t have the opportunity to attend but have questions about the session, how the RPis work or the NetBeez dashboard, please email us at info@netbeez.net to chat!